Trade shows can be outstanding opportunities for businesses to showcase their products and services to receptive prospects in relevant industries. Unfortunately, the overwhelming size of many trade shows can make it difficult to stand out from nearby competitors and attract people to a particular display. As a result, exhibitors are turning to social media to connect with potential clients and entice them to visit their booths. 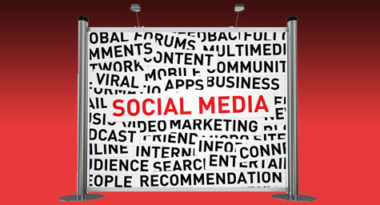 SkylineTradeShowTips.com offered the following 12 ideas for leveraging social media to target trade show attendees. 1. Tweet Why People Should Visit Your Booth – Use Twitter to extend your current trade show promotional messages. Any information you’ve shared through direct mail, emails, and ads can be redistributed via the social media network. Emphasize all of the unique and worthwhile things available at your booth, from new products and special offers to fun contests and giveaways. Start sending a few tweets each week up to two months before the trade show. 2. Pre-Schedule Tweets – There are a variety of free Web programs that allow tweets to be planned and sent on a regular basis. This eliminates the need to constantly send new tweets since the information is already organized and scheduled for timely distribution. 3. Include the Hashtag for Trade Show – This useful symbol is a hyperlink that lets viewers see all recent messages associated with that hashtag. Adding the show’s hashtag to your tweets increases the likelihood of reaching attendees both before and during the trade show. 4. Use Facebook for Professional Purposes – The leading social media network has eclipsed its focus on friends and become a powerful tool for both B2C and B2B businesses. More and more companies are creating pages that allow them to connect with consumers on a more personal level. Prior to the trade show, set up a Facebook page for your business and start communicating in a friendly way. 5. Share News from the Trade Show – Use Facebook as a “virtual booth” for people who couldn’t attend the actual show. Announce new products, valuable promotions, and anything you are sharing at the show. 6. Feature Pictures from Your Booth – Along with sharing show news, post photos and videos relevant to the things you’re offering at the trade show. Get attendees involved in a fun, interactive way by posing for photos together then posting them via social media networks. 7. Use YouTube to Promote Your Attendance – This popular network lets businesses literally broadcast themselves to the world, so take advantage of this exposure by making a video about your company’s upcoming trade show appearance. Be sure the video title includes the names of the trade show and your company, as well as your booth number. 8. Generate Excitement on YouTube – The channel is incredibly useful for spotlighting your pre-show and post-show promotions. Before the show, create videos that express the company’s story and history, along with reasons why people should visit your booth. Following the show, post videos of the actual event featuring product introductions or visitor testimonials. Then embed the videos on your website or blog and email them directly to contacts. 9. Have Fun with YouTube – The casual, personal nature of YouTube is what makes it so inviting for anyone to post videos of anything. There’s no need to spend a fortune for professional videography or high-end production. In fact, the best videos feature relaxed, candid interaction because they create a more personal connection with viewers. 10. Use Blogs to Increase Exposure – Many businesses have started blogging as a way to regularly communicate about their latest news, products, and appearances. Blogs are very simple to start, but there is also an enormous range of existing blogs relevant to every industry. They happen to be perfect social media vehicles for announcing trade show attendance. Before the show, either start your own blog or seek out blogs related to your industry and provide information about your event. Blogs run on fresh content, so they are always looking for new information. 11. Build Relationships with Industry Bloggers – While these bloggers offer valuable promotion before, during, and after the trade show, developing relationships with them can ensure that they continue to write about your company. These bloggers can be easily found by searching the Web and they will appreciate your effort to supply them with ongoing content. 12. Blog About Trade Show Happenings – Use blogs as additional channels for recapping your trade show experience. During the show, connect with bloggers in your industry and offer to give them content about your company, such as interviews and new product demonstrations. Social media can add so much more to the trade show experience. Leveraging these social media channels can provide businesses with the reach, relationships, and results they ultimately want from every trade show. 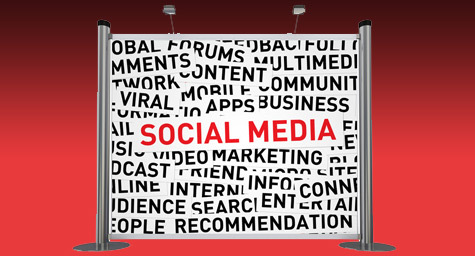 To learn how to integrate social media marketing at your next tradeshow, contact MDG Advertising today at 561-338-7797, or visit mdgadvertising.com. Read more @ Skyline Trade Show Tips.